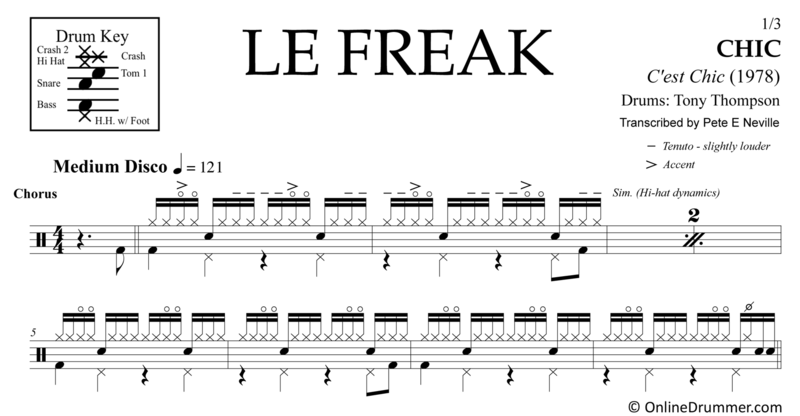 The full drum sheet music for “Le Freak” by Chic from the album C’est Chic (1978). One of the disco greats, “Le Freak” is recognized worldwide. Tony Thompson extends the classic disco groove with his own spice of subtle (and not so subtle) dynamics. 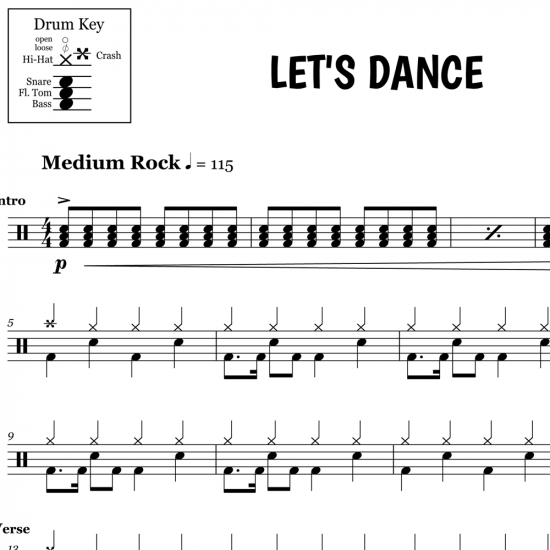 Your study of disco drumming should begin here. The full drum sheet music for "Let's Dance" by David Bowie, remastered version (1999).